MCPH Regional Epidemiologist Andy Tyler interviewed about spring diseases at KAFM this week, informing residents about precautions they can take to stay healthy. 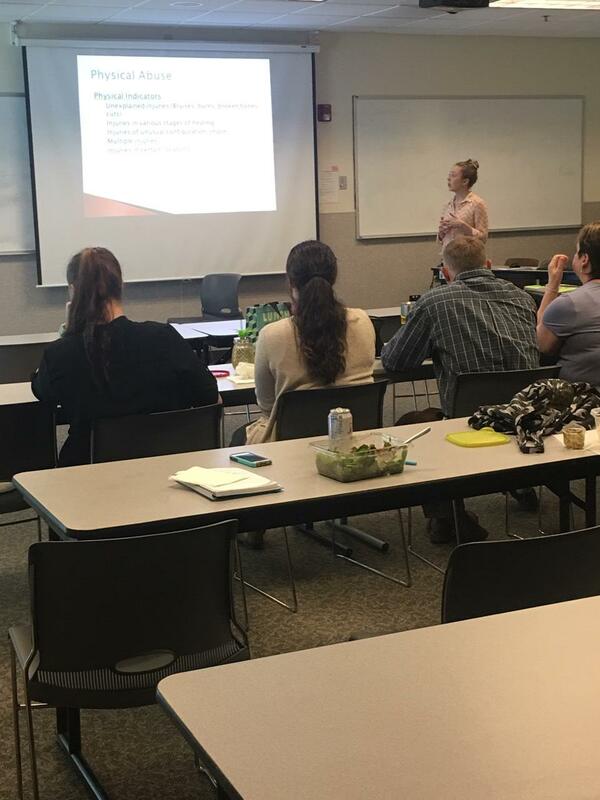 MCPH Child Care Licensing Specialist Ashley Watkins gave a training on Mandatory Reporting to MCPH staff earlier his week. MCPH team members discuss emergency operations during a training activity at an all staff meeting, this week. Mesa County Bike and Walk to School Day is Wednesday, May 9. 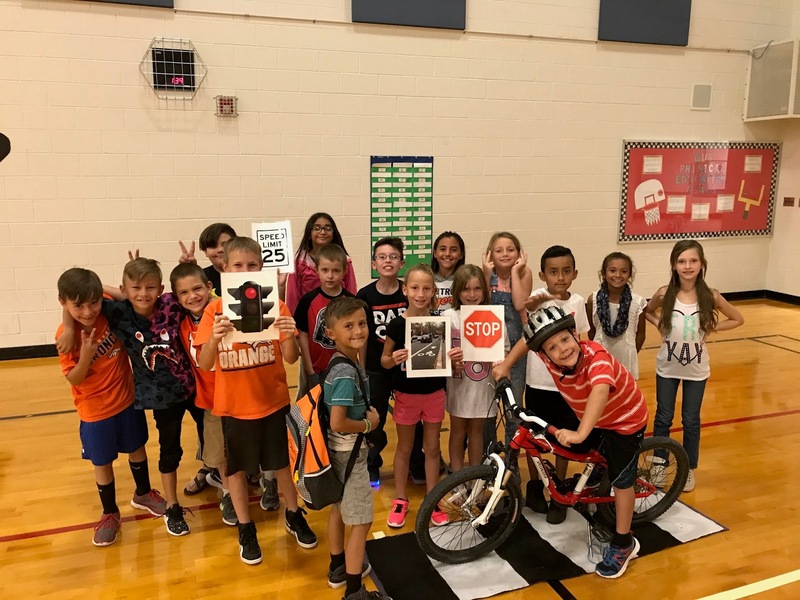 Many D51 schools are teaching road-safe skills to students who are planning to participate in walking school buses and bicycling trains and will be giving away prizes for those who participate. Plan your route to school using maps available at rtpo.mesacounty.us. Biking and walking to school are healthy ways for kids and families to make their school commute! Thousands of honeybees were relocated from a shelter's pillar at Mesa County's Long Family Memorial Park, 3117 F Road. To learn more, click here. 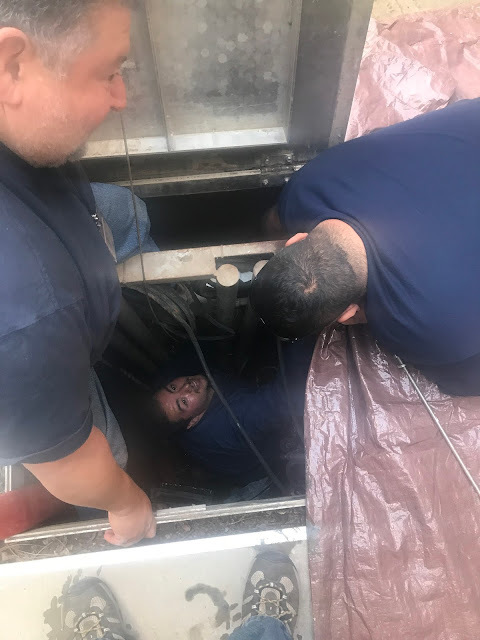 Mesa County Facilities team members (left to right) Fed, Chris and Tim repair sump-pump plumbing at the Justice Center, 125 North Spruce. Mesa County Commissioners proclaimed April as Autism Awareness Month and encourage all employees and residents to participate in our municipality's activities and become better educated about autism. Autism is a pervasive developmental disorder that affects social, communication, and behavioral skills. With early treatment, individuals with autism can lead significantly improved lives. On Wednesday, Qmatic, a new queuing system, was installed at the Motor Vehicle Division. 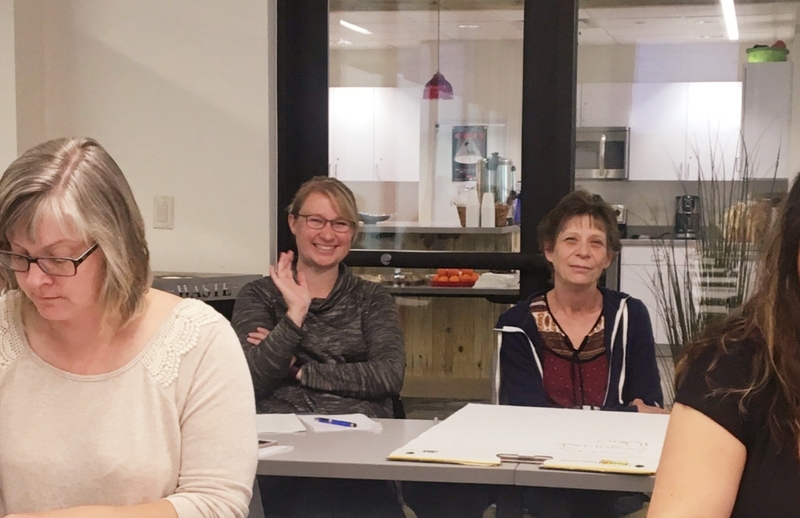 The team received training, and this week they went live with the new system! No more yelling out numbers, this system has an announcer! Mesa County Elections Director Amanda Polson, back row left, and Elections Manager Patti Inscho, right, attend a training on risk-limiting audits in Glenwood Springs at the Western Region Clerks Conference held this week. 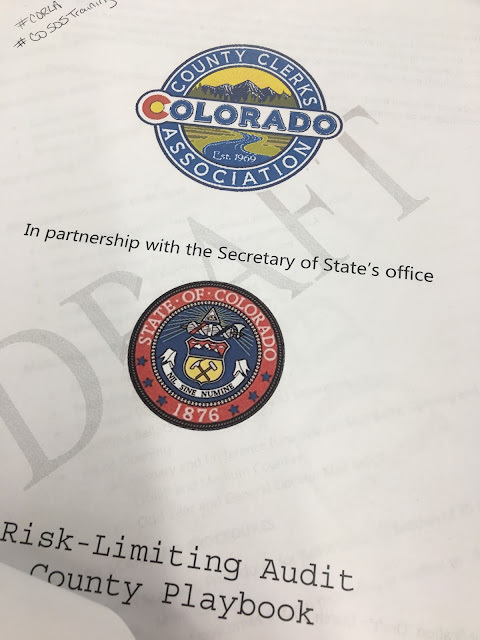 The Elections team went (some Tuesday and some Wednesday) to receive valuable insights into effective practices and communication from the Secretary of State's office. Mesa County Clerk and Recorder staff members attended the Western Region Clerks Conference in Glenwood Springs. 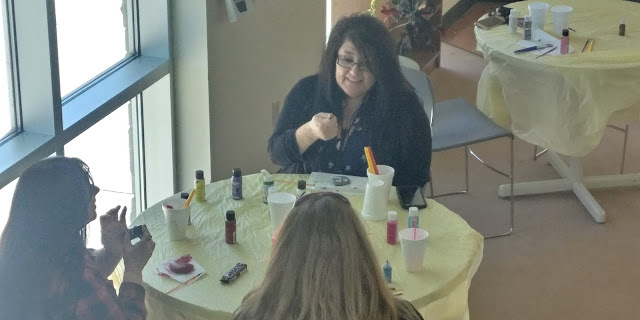 At Western Region Clerks Conference, on Motor Vehicle Day, Motor Vehicle Customer Service Specialist Katie Conner and Mesa County Clerk and Recorder Sheila Reiner get hands-on practice! Motor Vehicle Customer Service Specialist Katie Conner and Mesa County Clerk and Recorder Sheila Reiner pause for a selfie at Western Region Clerks Conference. 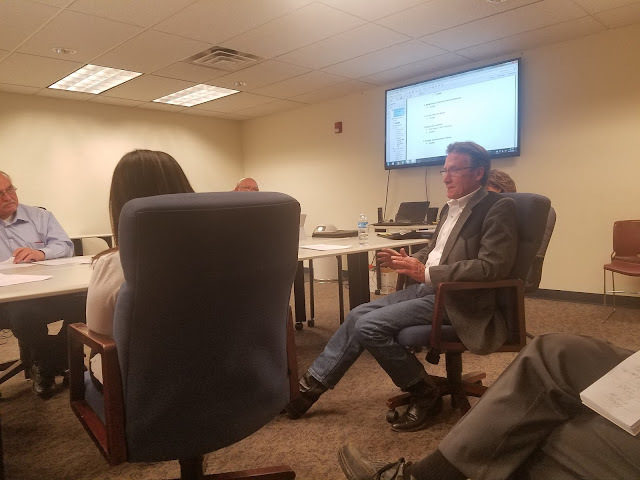 Mesa County Commissioner John Justman talks to KREX Reporter Tyler Young about a conditional use permit for Camp Catalpa, which was unanimously approved by the Board of County Commissioners Tuesday morning. Watch the interview, here. Mesa County Commissioner Scott McInnis participates in a discussion at the Meeting of the Board of County Commissioners Tuesday afternoon. 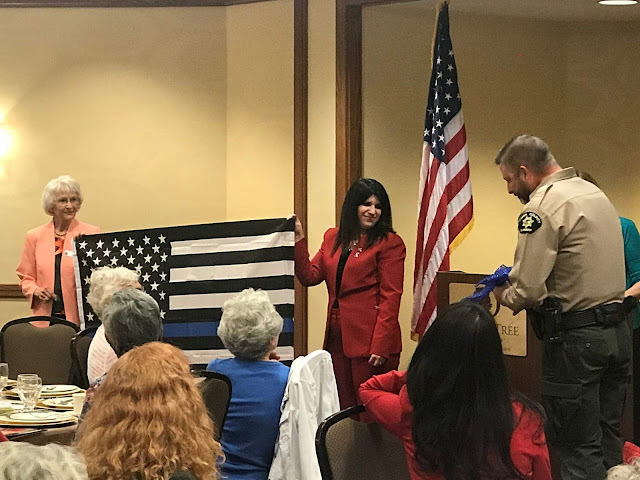 Mesa County Commissioner Rose Pugliese, right, proudly presented a Blue Banner to Mesa County Sheriff Matt Lewis at a luncheon. MCDHS Fun Bunch is sponsoring April Showers of Gratitude events, and this week’s theme was Rocks of Kindness. 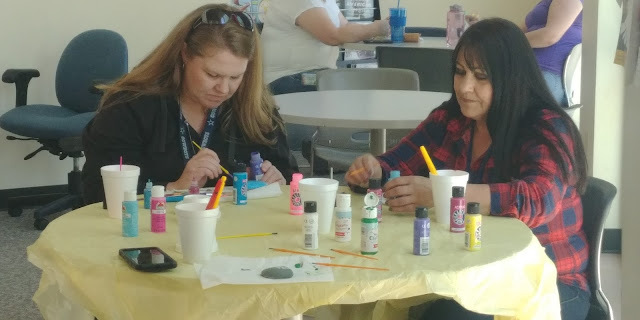 Staff took lunch and breaks to relax and create reminders to be kind. Connie Aguilar from the Economic Assistance's Green Team decorates a rock at the event. 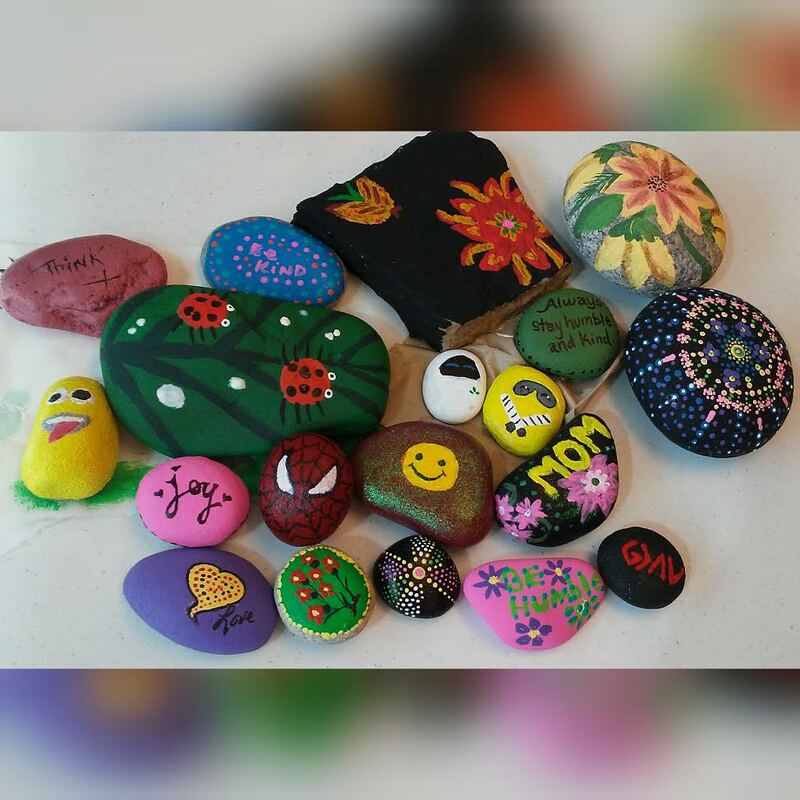 Veronika Howard and Vivian Hermosillo both from the Economic Assistance's Green Team participate in the Rocks of Kindness event. 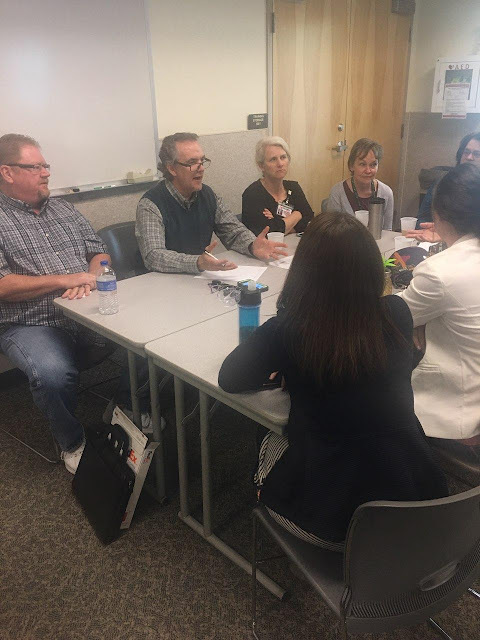 Mesa County Administrator Frank Whidden discusses how the county is organized to the Mesa County Leadership Class and centers his presentation around core government services. Mesa County Administrator Frank Whidden, right, and City of Grand Junction Manager Greg Caton, left, discuss the differences between the internal operations of county and city services Thursday morning. Administrator Frank Whidden presents to a Grand Junction Chamber of Commerce Leadership Class the different funding sources the county operates on. Intergovernmental grants make up 42 percent of Mesa County's sources of revenue, which means staff is extremely successful at applying for grant money. 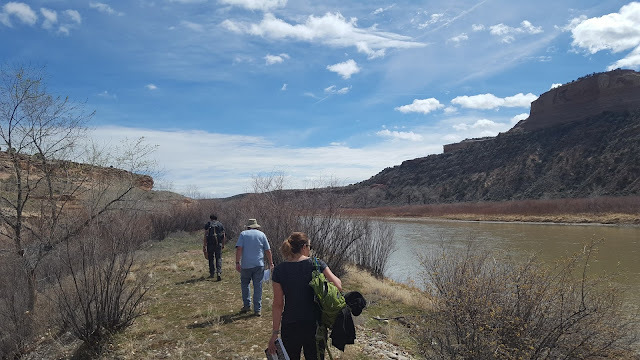 Mesa County GIS Administrators Chris Kadel and Ryan Davidson share with the Mesa County Leadership Class participants how Mesa County develops and maintains its geographic information system. Mesa County elected officials and Grand Junction City Council members participate in a Q&A panel to share their knowledge and experiences with local community members that are interested in public service. Mesa County Treasurer Janice Rich describes to the class members what her office is tasked with by Colorado law and the importance of property tax collection. Mesa County Assessor Ken Brownlee, right, talks to the Mesa County Leadership Class about his role as an elected official. 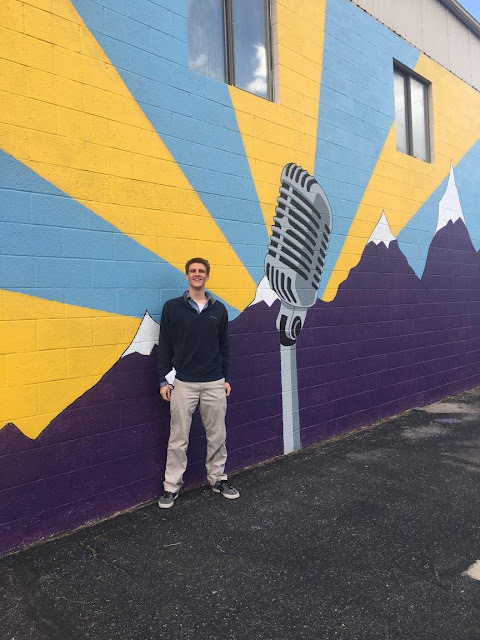 Mesa County Commissioner John Justman talks about his journey while in office. Mesa County Surveyor Patrick Green shares with the class what his office is charged with. Mesa County District Attorney Dan Rubinstein offers his advice to the Mesa County Leadership Class and shares that one of the most important things as an elected official is to listen to the needs of the community and address them. 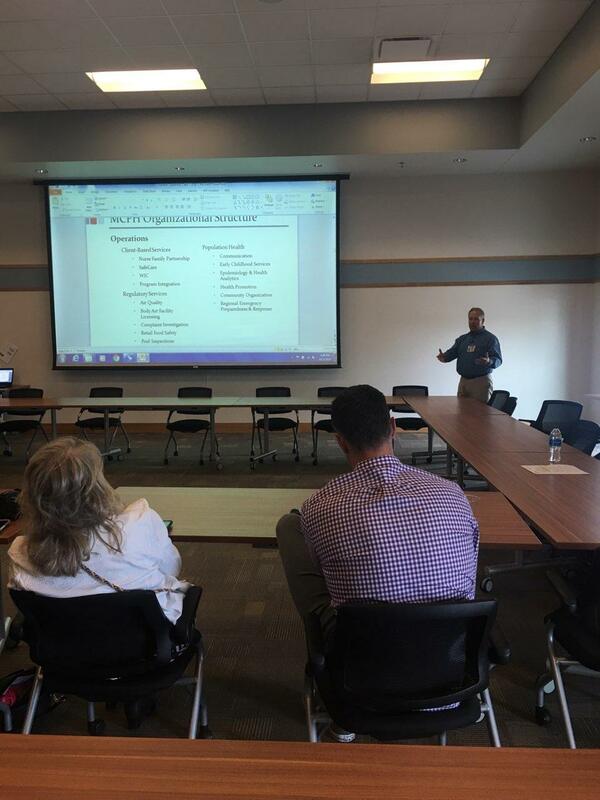 MCPH Executive Director Jeff Kuhr presents to the GJ Chamber Leadership Class on Thursday. Jeff spoke about MCPH services and current initiatives. Mesa County Workforce Center Director Curtis Englehart welcomes the Mesa County Leadership Class to the Workforce Center located at 512 29 1/2 Road. Mesa County Workforce Center Director Curtis Englehart presents to the class while giving them a tour of the facility. Mesa County Solid Waste Director Barrett Jensen welcomes the Mesa County Leadership Class to the Solid Waste Campus, 3071 U.S. Highway 50, Thursday afternoon. The Mesa County Landfill's working face is temporarily fenced due to high winds Thursday afternoon. 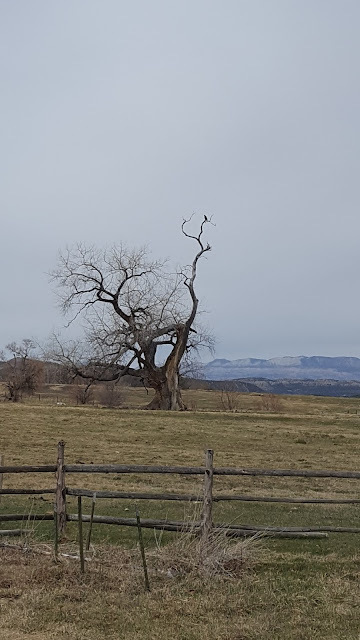 The Mesa County Landfill was closed all day Thursday due to high winds as required per Colorado regulation. The wind fence around the Mesa County Landfill catches trash blown from the working face. Customers drop off and unload yard waste at the Mesa County Organic Materials Composting Facility, 3071 Highway 50. Trees and yard waste are processed for compost production on-site. For more information, please call (970) 263-9319. The Mesa County Organic Materials Composting Facility offers an easy, free way to dispose of your yard waste, which then is turned into Mesa Magic compost. Residents along Tierra Creek drainage in the Redlands cut down a large Russian olive tree. 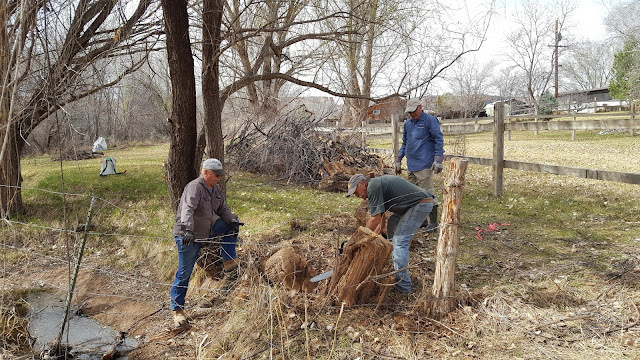 Alan Barbee with Noxious Weed and Pest Management assists and treats the fresh cut with herbicide to kill the tree. A golden eagle perched on a tree near Mesa. 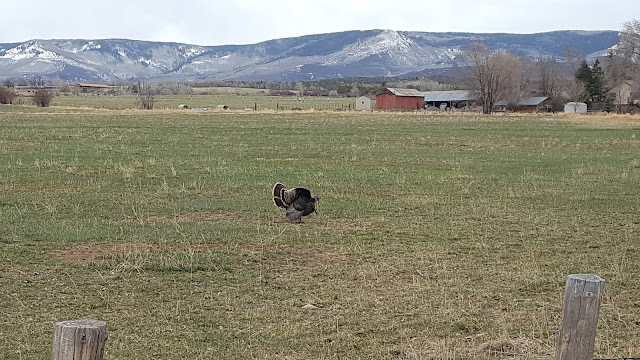 Staff en route to Collbran spots a turkey.